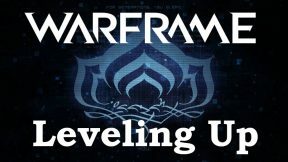 Kuva is an important resource in Warframe that becomes obtainable after completing “The War Within” quest. 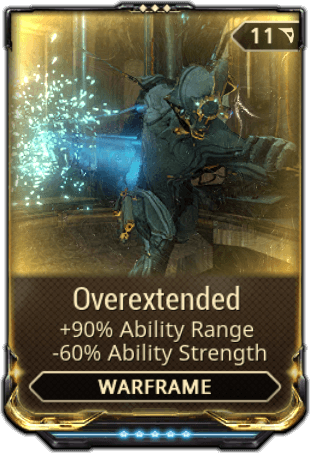 Kuva is used for numerous blueprints, but more importantly it is a necessary cost for re-rolling Riven mods. 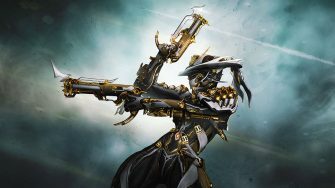 This guide explores the best methods for farming Kuva and how you can do so both efficiently and easily. 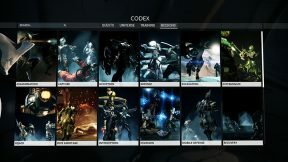 We will not go into detail about Riven mods as that is an entirely separate subject so we recommend reading the wiki article linked above if you are unfamiliar with these unique mods. 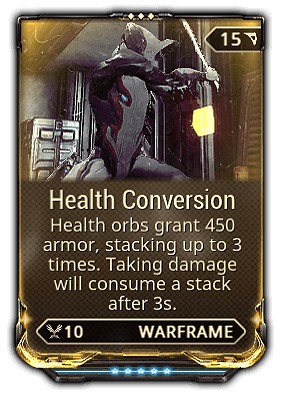 In short, however, Riven mods have random stats and can have their stats re-rolled using Kuva. High quality Rivens (desirable stats) often sell for over 1k Platinum and “God Rivens” (min-max stats) can go over 10k Platinum in rare cases. 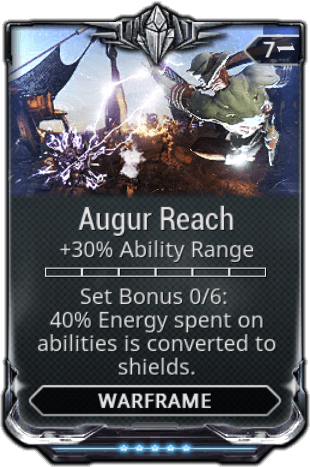 As such, re-rolling Riven mods is one of the best Platinum farming methods in the game so learning how to farm Kuva efficiently can be valuable for end-game players. The table below compares how much Kuva you can obtain per hour for each different method. There are only a few ways to farm Kuva and only two “fast” methods: Kuva siphons / floods and Kuva survival. 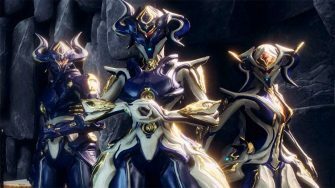 This guide will only cover these two methods in detail, but we’ve listed the other methods of getting Kuva for your convenience. The values provided for both Kuva siphons and survivals are with a resource booster as they more than pay for themselves when farming Kuva (especially if using a Smeeta Kavat). It’s also worth noting that Kuva siphons / floods require far more loading screens, extraction time and other various complications that make consistent mission times nearly impossible. 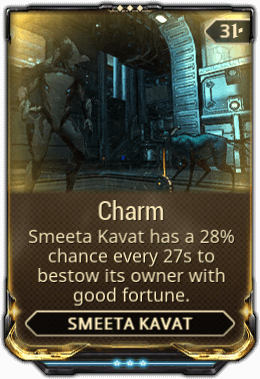 Additionally, while Smeeta Kavats are not used in the calculations below, they are far more likely to proc during Kuva Survival since you spend more time in missions. 1 Based on our trial runs with resource boosters, but without Smeeta Kavat. 2 Sorties have a 12% chance of awarding 6,000 Kuva once per day. We multiplied the chance (0.12) and Kuva amount (6,000) to find average Kuva per Sortie then assumed you can complete a Sortie in 30 minutes. 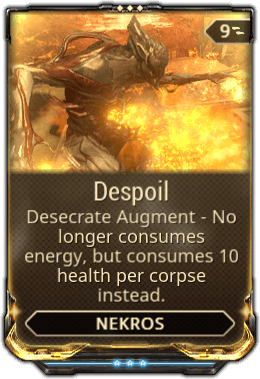 Kuva Siphons are normal missions with a secondary objective: Destroy the Grineer Queens’ Kuva siphon. Successful destruction of the Kuva siphon awards some Kuva upon mission completion. The Kuva Siphon can spawn anywhere on the map, including areas that aren’t part of the main path to the objective. Fortunately the game provides you a generous detection radius for finding the Kuva Siphon so you don’t need to search every nook and cranny looking for it. Once you’ve found the Kuva Siphon, the siphoning process will begin as long as you are within 200m of the Kuva Siphon. Various Kuva NPCs, including Kuva Guardians, will spawn to defend the siphon. Kuva Guardians can be quite annoying as they are invulnerable until you either Void Dash through them or hit them with Void Blast. You do not need to kill any of the NPCs defending the siphon, but it can make your life a little easier if you do. Some thicc Kuva Guardians – Void Blast or Dash through them to make them vulnerable. Eventually the Kuva Siphon will extend one of its “braids” in a certain direction. A Kuva cloud will spawn in the direction the braid is pointing and will slowly travel towards the siphon. The Kuva cloud also makes an audible hissing sound that you can use to locate it more easily. Once you’ve found the Kuva cloud, you must hit it any Void attack including Void Dash, Void Blast or shooting it with your amp. A successful hit provides an audio queue and destroys one of the Kuva Siphon’s braids. Repeat this process 4 times to destroy the Kuva Siphon at which point you can carry on with your mission as normal. Kuva Siphon absorbing a Kuva Cloud – Use Void Dash, Blast or Amp on Cloud before it reaches Braid to stop this. Kuva Floods are identical to Kuva Siphons on the Star Chart with only two differences: The level of the enemies and the rewards. 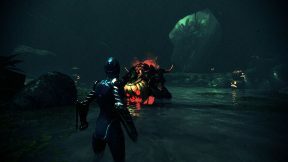 Floods have enemies between the levels of 80 to 100 while regular Siphons have much weaker enemies between level 25 to 35. 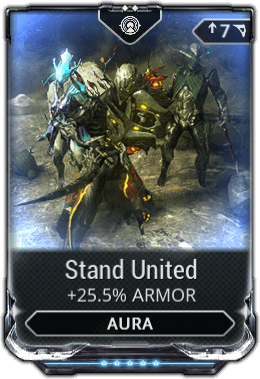 Since Floods have far higher enemy levels, they provide twice as much Kuva which makes them worth doing regardless of mission type. Regular Kuva Siphons award 1100 – 1400 Kuva per mission (with a resource booster) while Kuva Floods can award between 2200 – 2800 Kuva. 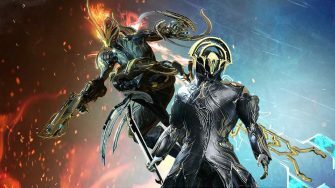 If you’re struggling to complete Floods, make sure you switch to Public matchmaking so other players can assist you and check out our Warframe recommendations below to make life a bit easier. It’s worth noting you can shave a significant amount of time off your Kuva siphon missions if have at least one person doing the siphon and one person doing the objective at the same time. You should “fill” whatever role your squad isn’t doing in public matchmaking, so observe your teammates to see if they are stopping at the Kuva siphon or continuing on. If you are the first person to the Kuva Siphon, it’s generally worth staying to do the siphon until at least one other person joins you. This is because the siphoning process stops if no one is within 200m of the siphon, adding unnecessary mission time. 0 Forma – Maximize duration, then efficiency. Can replace Overextended . Use any aura you like. 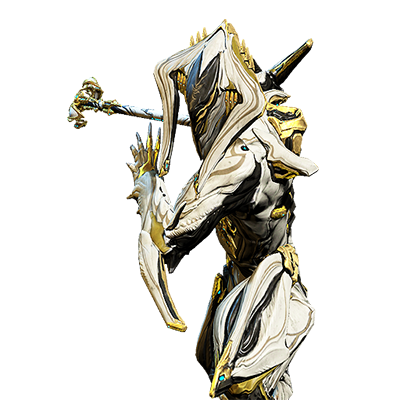 Limbo is the ultimate cheese Warframe and that’s what we aim to abuse when bringing him along for these missions. Build for maximum duration followed by efficiency. Range is debatable in either direction, although we personally prefer large bubbles even on Corpus missions. Strength does not matter for this build – all we’re aiming for is maximizing Stasis and Cataclysm duration length. 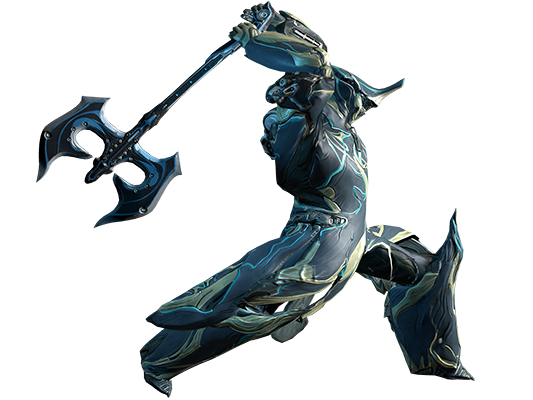 Use Limbo to make life much easier at the Kuva Siphon – simply cast Cataclysm on the Siphon and keep Stasis active. This will freeze all enemies aside from the Kuva Guardians (they can’t enter the Rift) which you can ignore as they can’t damage you while you’re in the Rift. Keep in mind your Operator cannot enter the Rift either, so you might want to kill the Kuva Guardians anyway so they can’t hit your Operator. With all enemies frozen, you can focus entirely on the Kuva Siphon without concern. You can also just roll into the Rift to keep yourself safe. Of course, Limbo can also assist in the objectives as well. 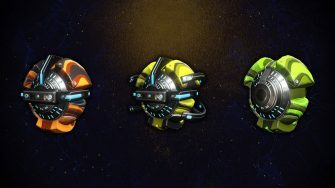 For Mobile Defense and Excavation, use Stasis + Cataclysm on terminals / excavators to keep them safe. In missions without Corpus, you can ignore defending the objective entirely while Cataclysm is active so you can search for the Kuva Siphon instead. 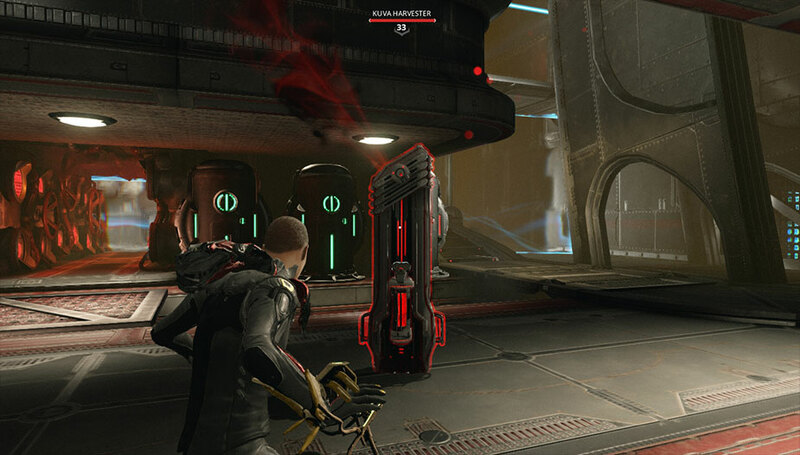 You can also Banish rescue targets in Kuva Floods so they don’t die on the way to extraction. 0 Forma – Maximize duration, then efficiency. Survival mods are optional. Use any aura you like. Loki makes your life much easier in Kuva Siphons as you can effectively ignore all enemies by going invisible. As long as you can keep your energy up to recast Invisibility, you’ll take minimal damage and can focus completely on the objective. You can also help your teammates while invisible as enemies are generally not great at determining where you are shooting from. 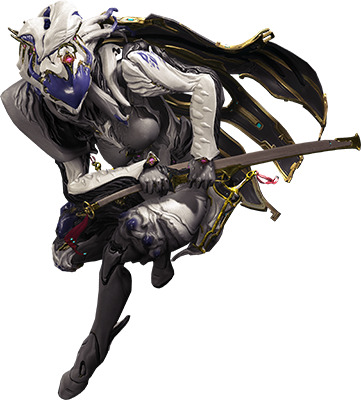 It goes without saying, but Loki is the best suited Warframe for Spy missions as well. 2 Forma – Maximize range then strength. 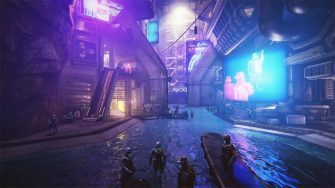 Can replace Augur Reach with Vitality for Floods. 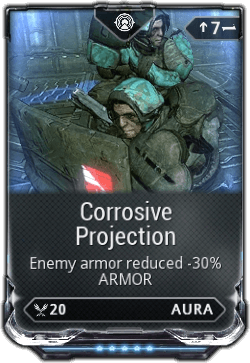 Can forma for Corrosive Projection , but is unnecessary. Saryn is the queen of slaying mobs of enemies. 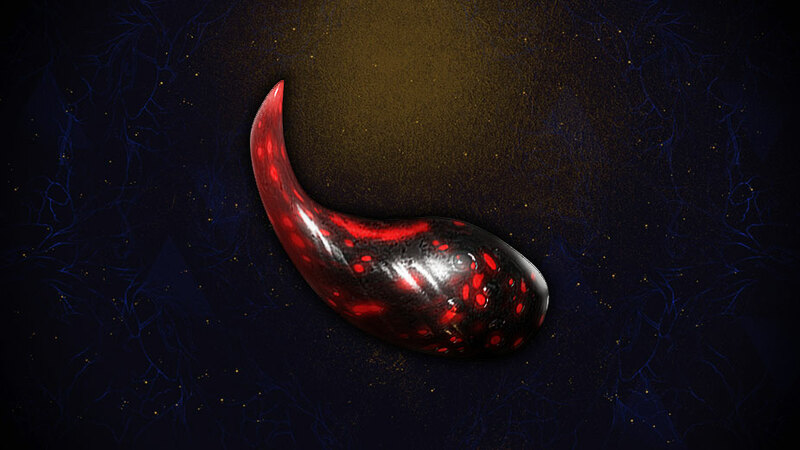 There are other options available for this task such as Equinox, but we found Saryn is the most consistent at running through Exterminate missions quickly if you can spread Spores effectively. Saryn also scales very well and can complete Kuva Flood exterminate missions nearly as fast as regular Kuva Siphons. Let your teammates do the Kuva Siphon objective while you focus on finishing the Exterminate mission since you’ll often be best suited for the task. 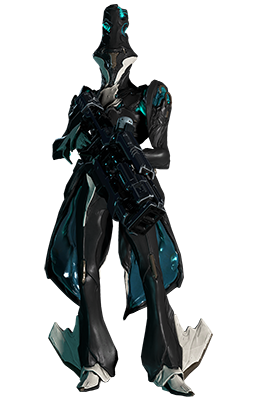 If you have limited experience with Saryn, your basic goal is to cast Spores on an enemy and kill them as quickly as possible with your weapon. This spreads the spores to all enemies within a large radius which you can then kill those enemies with your weapons or Miasma to spread the Spores even more. Each area of the map should be cleared quickly so you can continually follow the mission waypoint to clear more rooms of enemies in seconds. Miasma can single-handedly clear a room in regular Kuva Siphon missions as well. 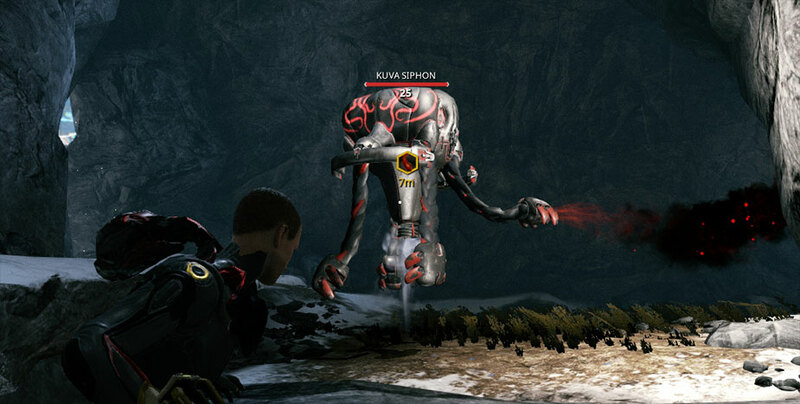 Nekros can be good for the Kuva siphons that are survival missions (not to be confused with the Kuva Fortress survival mission) as he aids in spawning life capsules. We’ll discuss this a bit more below, but it’s not high priority here since you’ll be extracting after 5 minutes anyway. 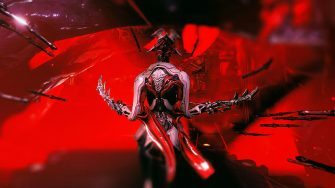 Volt can be a great option for regular Kuva siphon exterminate missions as well as any sabotage mission as he can run through the map quickly to complete the objective. As with any mission in the game, you can bring ANY Warframe without issues. Kuva Survival is a unique survival mission where marked enemies can drop “Kuva catalysts” which turn survival capsules into Kuva harvesters. You must defend these Kuva harvesters for a minute at which point they will provide 200 Kuva and 10% life support. Keep in mind that this “sacrifices” the normal life support capsule that spawns there. A new life support capsule and enemy with Kuva catalyst will spawn every 90 seconds. The timer keeps going even if you fall behind life support spawns which means it’s easy to obtain the maximum Kuva per hour even with mistakes. At the start of the mission, head to the first Life Support capsule and you should find an enemy that is marked on your HUD and mini-map. Kill this enemy to make them drop a Kuva Catalyst. You can pick up this Kuva Catalyst (like a data mass or any other item) and bring it to the Life Support capsule. This will instantly transform the Life Support capsule into a Kuva Harvester which you must defend for a minute. 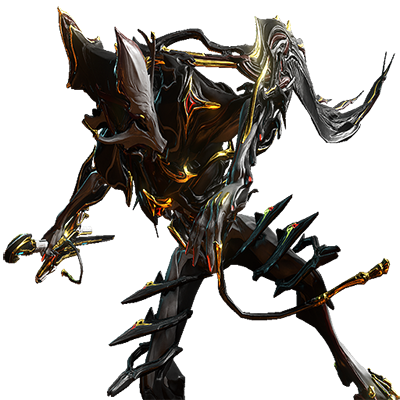 After a successful defense, you’ll be provided 200 Kuva (400 with a booster, 800 with booster and Smeeta Kavat Charm active). Life Support turned into Kuva Harvester – Defend for a minute to obtain 200 Kuva (400 with booster). Every single new Life Support spawns a marked enemy close-by that drops the Kuva Catalyst. 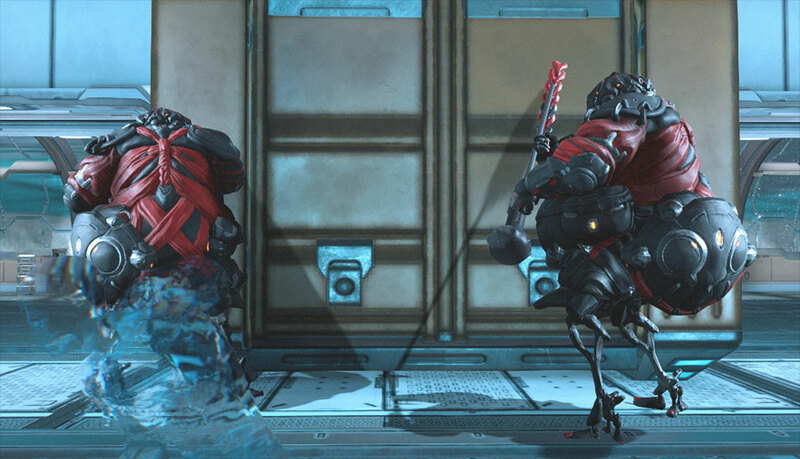 These enemies are often random Grineer, but can occasionally be Kuva Guardians as well so be prepared to use your Operator to make them vulnerable. Otherwise, this mission behaves the exact same as any other Survival mission with the exception of the traps found throughout the Kuva Fortress. You can easily avoid these traps though, especially if you use Limbo. 0 Forma – Maximize efficiency, range and survival. Despoil is a must. Nekros makes lasting longer in Kuva survivals much, much easier. This is because Desecrate has a chance to spawn additional life capsule drops. If you get into a squad without a Nekros, you’ll notice how difficult it can be to keep your life support high past the 30 minute mark. We seriously recommend any squad have a Nekros if you wish to go beyond the 20 minute mark with ease. As always, slash weapons can be helpful for dismembering enemies so Desecrate activates more often. As for the build, you are mostly just aiming for about 40 meters of range on Desecrate and high survivability. 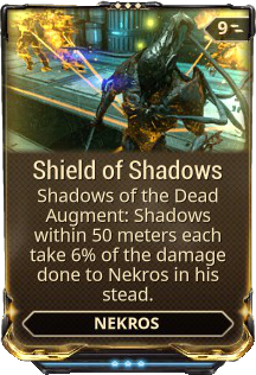 How you obtain that is up to you – We’ve provided an example of a 0 Forma build for ease of use, but Nekros is far easier to mod when Forma’d especially since his Aura spot has no polarity initially. Health Conversion and Shield of Shadows are excellent tank mod options that we recommend trying. You do not need to min-max your build as any decent Nekros build is near unkillable for the first hour of Survival. 0 Forma – Prioritize efficiency, range and strength. Duration isn’t important. Stand United can be replaced with Rejuvenation . Frost is the king of “short” Kuva survivals (less than 60 minutes) as he’s able to clear rooms up to 20 minutes in and can easily defend the Kuva Harvester. Cast Snow Globes on the Harvester to keep it safe from harm and spam Avalanche – that’s it. If you have decent strength, you’ll one hit enemies up to roughly 10 minutes in and 2 hit enemies up to 20 minutes in. After that, your damage will fall drastically in effectiveness. However, you’ll still be one of the best damage dealers and most public matches don’t go longer than 40 minutes. The build shown above is 0 Forma to make your life easier and to demonstrate the overall goal: High strength, range and efficiency. Duration is low priority since this build isn’t using Chilling Globe and freezing enemies with Avalanche for long periods is unnecessary since it kills most enemies up to 20 minutes or so. 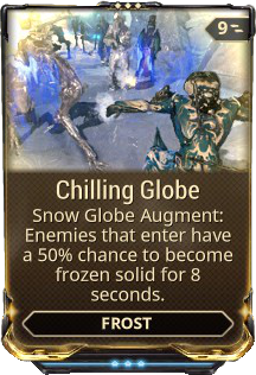 Chilling Globe isn’t used because it isn’t necessary: You can easily defend the Harvester with a regular Snow Globe and Avalanche. At lower survival times, you can even leave a Harvester unattended with a Snow Globe on it without it being destroyed. 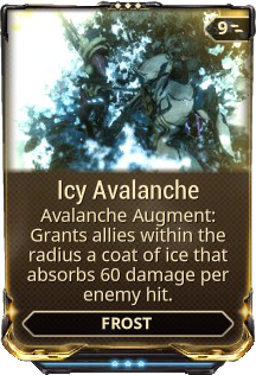 We recommend using the Icy Avalanche augment mod as it can help your squad drastically when going for longer than 30 minutes. Enemies scale up much quicker past the 30 minute mark so some teammates will find the extra 1 – 2k damage absorption can save them from certain death often. The augment also allows you to effectively AFK the first 20 minutes as you can just spam Avalanche and stand still in a Snow Globe, only moving to pick up life support capsules. Make sure you keep refreshing Energizing Dash so you can use Avalanche frequently. 0 Forma – Maximize duration, then efficiency. Can remove Overextended or swap for lower range mod. Limbo is a great Frost alternative as he can make the Kuva Harvester completely invulnerable. Cast Cataclysm on the Kuva Harvester while keeping Stasis active and you’ll never have to worry about any enemies damaging the Harvester at all. You also won’t have to worry about your own safety since even Kuva Guardians cannot hit you in the Rift as they cannot enter the Rift (similar to your Operator). You can stay invulnerable nearly 100% of the time by “rolling” into the Rift, casting Stasis then casting Cataclysm. You’ll stay safe when casting Stasis and Cataclysm since you’ll be in the Rift and enemies will be frozen the instant you cast Cataclysm. You can pick up the Kuva Catalyst as long as it’s in the same dimension as you, meaning you never have to expose yourself if you don’t want to. As long as you keep Stasis and Cataclysm active on each Harvester, you can just move from Life Support to Life Support with minimal effort. The only problem you’ll have as a Limbo is keeping Life Support high. You should kill any enemies that enter your Cataclysm for life support drops, but that simply won’t be enough as you get later into the survival mission. You’ll have to venture out of the Cataclysm to kill most enemies (especially if you opt for Stretch instead of Overextended ). On that subject, your teammates are a lot less likely to get upset with you if you have lower range so you might want to remove range mods altogether if you are in Public matchmaking. 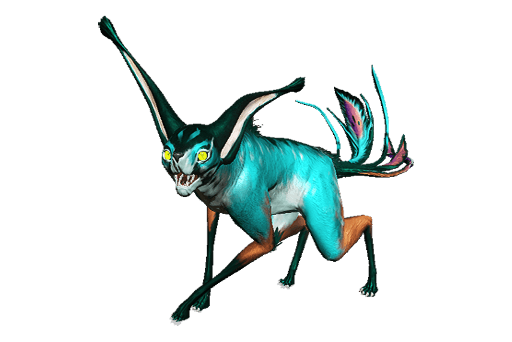 If you don’t have a Smeeta Kavat, we seriously recommend getting one before farming for Kuva. This is because they have a unique mod, Charm , which has a small chance of doubling any resources obtained for 2 minutes. While it’s difficult to give exact numbers on how much a Smeeta can improve your Kuva farming, it isn’t unreasonable to assume it’s in the ballpark of 20% extra Kuva. Smeetas are so valuable that it’s worth just buying genetic DNA and the research segment required to breed one for Platinum on the Market if you don’t want to farm for one normally. 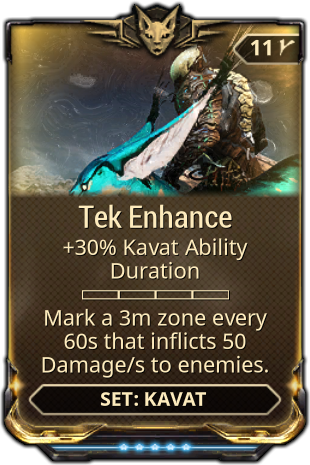 Fortuna also released a mod called Tek Enhance which increases the duration of Kavat abilities including the resource boost. That means you can now expect the boost to last for 156 seconds now instead of 120 seconds. This is a substantial improvement that increases the odds you will have it active for multiple Kuva Harvesters during Survivals. If you are doing a Kuva Siphon solo, complete the objective after the 3rd braid is finished rather than destroying all 4 braids. Destroy the 4th braid after you finish the objective. This maximizes the odds your Kavat will proc the resource boost charm while also not hurting your mission time. However, Kuva siphons are often faster with a group which makes using this strategy near impossible (at least in Public matchmaking). If you are doing Kuva Survivals solo, let the maximum number of Life Support capsules spawn in a given area before harvesting them so your Smeeta has more time to proc the booster effect. Every map generated from the Kuva Fortress tileset can only have 3 different areas that Life Capsules can spawn and most of those areas have 3 Life Support capsule spawn locations (some have 2 or 4). Life support spawns in the same area until all spawn locations are exhausted then moves onto the next area, continuously looping. If you allow the maximum number of capsules to spawn in an area before harvesting, you nearly guarantee your Kavat will always boost a minimum of 3 Harvesters each time it procs the resource booster effect. The only reason you can’t wait for more than 3 Harvesters is because Kuva Catalysts despawn after you kill the 4th enemy carrying them. If this sounds confusing, just post a comment below and we’ll clarify. We intend on doing a full write-up on solo Kuva Survivals since it is far more efficient than squads if you use this method with a Smeeta Kavat. In short, we recommend prioritizing Kuva Floods then doing Kuva Survivals for obtaining Kuva. 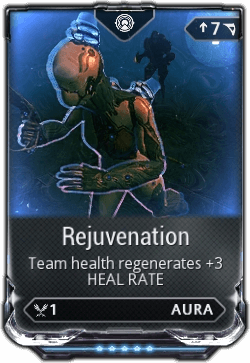 Re-rolling rivens is an excellent and exciting way to make Platinum or get a fancy mod for yourself so stocking up on Kuva is never a bad idea. If you’re an experienced Kuva farmer reading this, make sure you share your tips for other players in the comments below. Otherwise, we hope our guide has helped you. Thanks for reading! 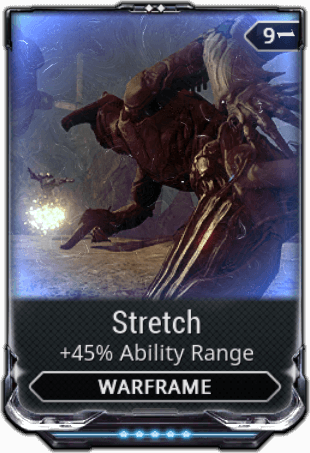 Splinterstorm speed gara with her augment is really great for kuva survival just cast your splinterstorm on syphons and yourself and run around killing things with it the augment will heal the syphon when it hits the enemies. 30000 kuva for kuva flood in 1 hour xd fake. It’s if you could farm them – Assuming 5 mins per run, that’s 12 runs per hour. 2500 Kuva per flood (with booster) = 30k Kuva an hour. 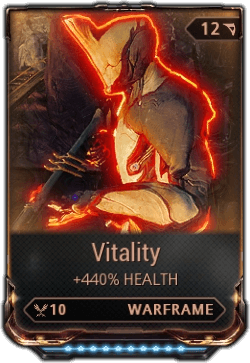 Naturally you can’t farm them, but that’s the equivalent Kuva per hour so you can put it into perspective against Kuva Survival. Wouldn’t it be better to calculate how long it is between each Flood spawn point on the map and calculate from there? Cos the Survival number is attainable, but I agree that 30k is misleading. Unless the Flood spawns every 5min… Which I know it doesn’t. I don’t think so personally, although I get your point. The reason it is set up like that is to illustrate that Floods are the most efficient – the note sections mentions you can’t farm them. I guess I do agree with them being most efficient… I personally do them mostly with the odd Smeeta buff. And on occasion do the endless Kuva for about 40min to an hour..
when you understand how maths work, it’s not misleading AT ALL. you actually get 30k kuva/hour. Just for a single mission, for 5 minute. It’s like dragster 1/4 miles races. Average speed is actually 400 kph. It just last 6 sec. Does that mean that they’re not fast since they can’t run for hours and hours ?